Providing safe transportation solutions for your liquid and gas distribution needs with a dedicated fleet and ISO tanks. Ensure that your transportation of bulk chemical liquids is smooth sailing with RichLand. 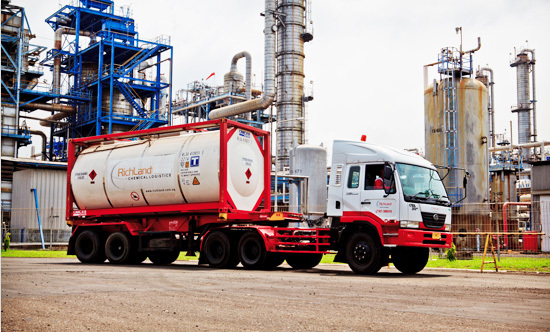 To further strengthen our chemical logistics offering, RichLand has an exclusive international agency partnership with one of the largest ISO-tank operators in the world, to provide chemical logistics import and export services in Indonesia. RichLand transports over 11,000 domestic and international ISO-tank shipments per year.